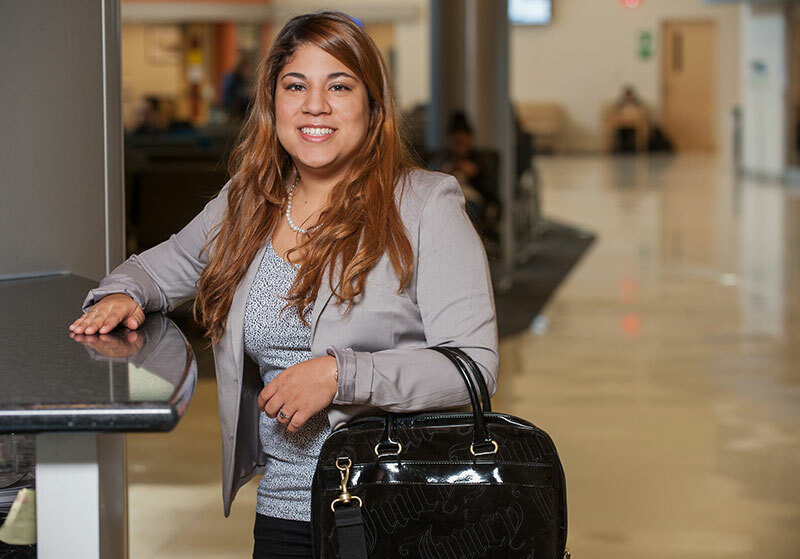 As a first-generation American and the first in her family to attend college, Amy Zuaso, 22, of Woodbridge, achieved her dream of earning a bachelor’s degree by using NOVA's Guaranteed Admissions program. She chose NOVA to stay close to home, save money and get one-on-one academic attention. At NOVA, Zuaso qualified for financial aid, which covered her two years as a psychology major. To keep her grade-point average high, she worked closely with dedicated professors and tutors at the Woodbridge Campus. “I took advantage of all the resources NOVA had and because of that I was able to be successful there,” Zuaso said.